Grazie al Barone ho scoperto questa fantastica serie di documentari dedicati alla storia dell’aviazione russa, civile, militare e sportiva. Ben 18 puntate, intere e pure commentate in lingua inglese! Ecco alcuni episodi. I restanti li trovate QUI. A Russian TU-160 Blackjack aircraft is escorted by a Tornado F3. On 10th March 2010, two RAF Tornado F3 fighter aircraft of 111(Fighter) Squadron were scrambled from RAF Leuchars (Fife) in the early hours of the morning to intercept two Russian TU-160 Blackjack aircraft, which were approx 100nm to the west of Stornaway on the North-West coast of Scotland. The Tornadoes shadowed the Russian aircraft as they progressed south before the Blackjacks turned north, short of the Northern Irish coast, exiting UK airspace. Le immagini sono belle, ma il Ministero della Difesa britannico conosce il significato del termine “hi-res”? Che cosa mi dovrebbero rappresentare delle foto taggate di 600 pixel? Capisco i fotografi freelance o le agenzie tipo Getty ma, Cristo, almeno i governi ‘ste cagate dovrebbero evitarle. Perche’ la “plebe” non dovrebbe godere del formato in alta risoluzione? Per esempio, la prima foto sarebbe stata perfetta per un wallpaper o magari da incorniciare al muro. Mah! W l’Hi-Res! Abbasso il copyright della Corona! Su Defence Professional (defpro.com) ho trovato questa interessante analisi di Sergio Coniglio (e non ridete, cari frequentatori di ICM e ICSM…) in merito al Pak-Fa. Miracoli: vola il Sukhoi PAK-FA! Il vero scoop della settimana, mica l’iPad(ella), gh. Dopo anni di attese e promesse, ecco a voi il futuro caccia da superiorita’ aerea dell’aeronautica militare russa. 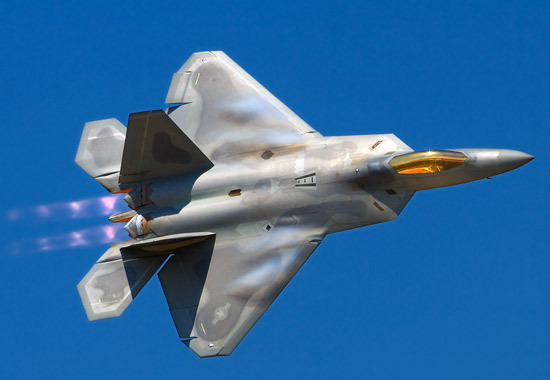 Il primo vero rivale dell’F-22 Raptor. Alcune immagini prese durante il primo volo avvenuto quest’oggi presso l’aeroporto di Dzemgi. Ai comandi Sergey Bogdan. Il design del PAK-FA e’ indubbiamente originale (l’impronta Sukhoi e’ ben visibile) ma le influenze di F-22 e YF-23 sono evidenti. Dipende da quale angolo lo si osserva. Pianta alare e raccordo ala-fusoliera ricordano l’F-22 Raptor. Gli scarichi d’altro canto sembrano di tipo convenzionale, simili al Flanker (del resto i propulsori del prototipo sono i medesimi). … anche le “chiappe” del PAK-FA ricordano un po’ il Flanker. [News] Raptorski: sara’ la volta buona? MOSCOW (Reuters) – Russia will test fly by the end of January a new “fifth generation” stealth fighter that aims to challenge the United States for technical superiority, an aviation industry source told Reuters on Wednesday. This would be the first all-new military aircraft Russia has built since the Soviet Union collapsed two decades ago and is crucial to showing that Moscow still has advanced technologies of its own, defense analysts said. However, it would probably take five to seven years before Russia’s military finally got to fly the first of these fighters, they said. Fifth-generation jets are invisible to radar, have advanced on-board flight and weapons control systems and can cruise at supersonic speeds. Russia currently builds military aircraft based on designs dating from the Soviet era. 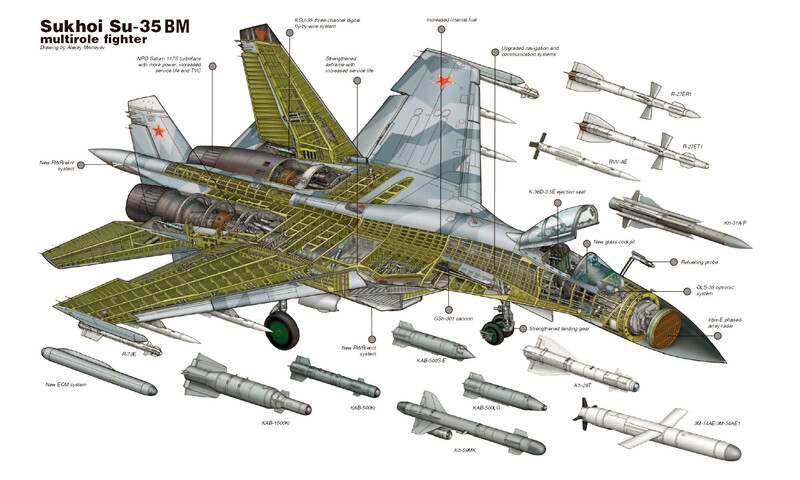 Sukhoi is Russia’s largest exporter of military planes and accounts for a quarter of the country’s annual arms sales. It has foreign orders worth billions of dollars, with India its biggest client. 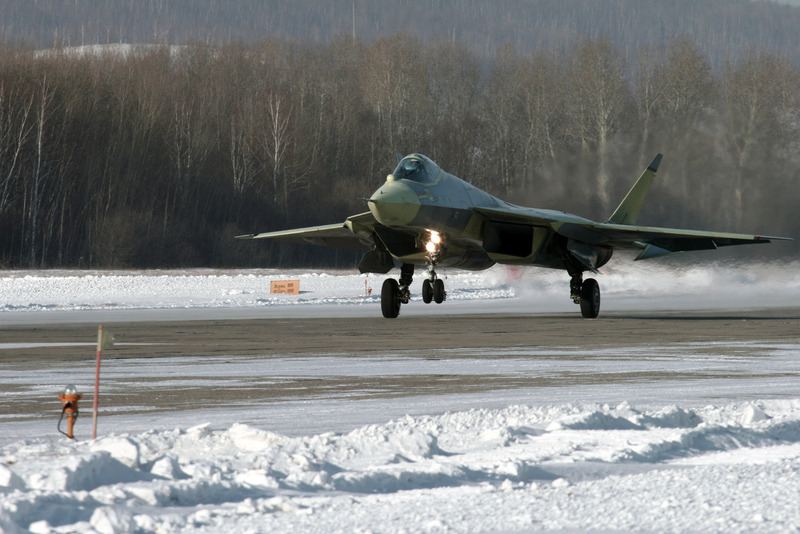 The warplane is seen as Moscow’s challenge to the U.S.-built F-22 Raptor stealth fighter, which first flew in 1997. “The importance of this project is huge. This is the first and principally new plane built in Russia after the fall of communism,” said Alexander Khramchikhin, chief analyst at the Moscow-based Institute of Military and Political Analysis. But Khramchikhin said he was not starry-eyed about the plane, recalling delayed deliveries to Russia’s armed forces of much-publicized new diesel submarines and the formidable Iskander tactical missiles. A series of failed tests of the newest, submarine-launched Bulava (Mace) intercontinental nuclear missile, touted by the Kremlin as a perfect weapon able to pierce any air defense, has only added to Moscow’s embarrassment in recent years. “In an optimistic scenario, Russian air forces meanwhile will probably rely strongly on supplies of the less advanced Sukhoi Su-35 jet fighter whose deliveries are due to start this year,” the Moscow-based Center for Analysis of Strategies and Technologies (CAST) said in an analytical note sent to Reuters. “It appears the new jet will take years to be fine-tuned, and its delivery to the armed forces would take between five and seven years at least.” It said Russia was likely to produce the new jet jointly with its close partner India. CAST said the mass output of the fifth-generation fighter and its future modifications would attract young engineers to the aviation sector and boost Moscow’s military exports after the market for the current Su-30 had been saturated. Potential exports of U.S. fifth-generation jets may be limited by Washington’s security considerations, reducing sales to a narrow circle of close U.S. allies such as Israel, Saudi Arabia and Japan, CAST said. PS : ma non siamo gia’ a fine gennaio? PPS: degnarsi di mostrare una fottutissima thumbnail? No, eh? Guardate che spettacolo questo Backfire a bassa quota. Non e’ roba da tutti i giorni.